LLAM Holiday Party – Save the Date! 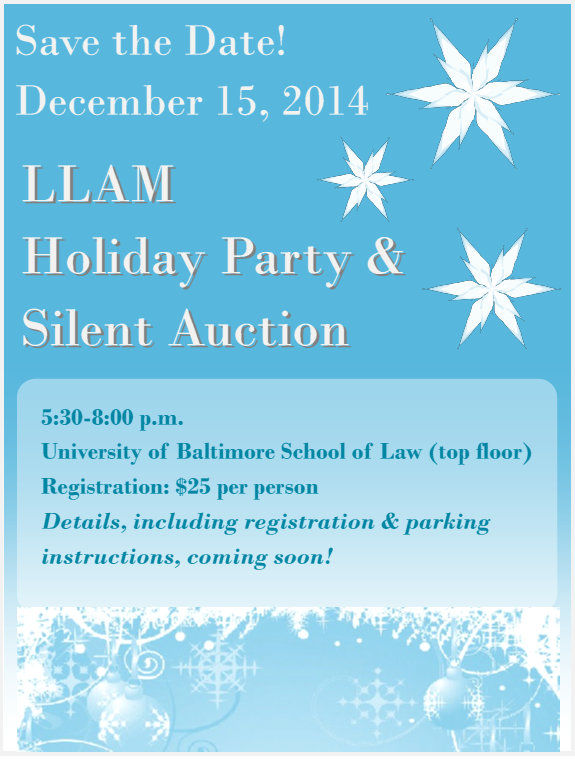 We hope you can join us for the LLAM Holiday Party & Silent Auction at the University of Baltimore on December 15, 2014. More information on registration will be coming soon, but email us at llamnewsmd@gmail.com if you have any questions! This entry was posted in Events and Announcements, LLAM Announcements by LLAM News. Bookmark the permalink.